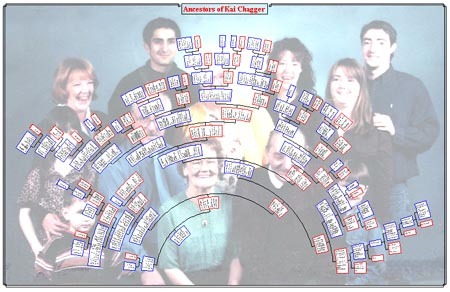 We can also produce your chart in a Fan or Circle form if you prefer this layout. This chart is usually smaller in size than a conventional left to right horizontal chart. Due to the vast differences in size and weights of printed family trees Postage and Packing are not included in the price. This is an example of a closer look at the boxes on the chart. This is the Standard Option where no additional information has been requested.